Explanation: A fast and powerful wind from a hot young star has created this stunning bubble-shaped nebula poised on the end of a bright filament of hydrogen gas. Cataloged as N44F, the cosmic windblown bubble is seen at the left of this Hubble Space Telescope image. N44F lies along the northern outskirts of the N44 complex of emission nebulae in the Large Magellanic Cloud, a mere 160,000 light-years away. The bright, blue, hot star itself is just below the center of the bubble. 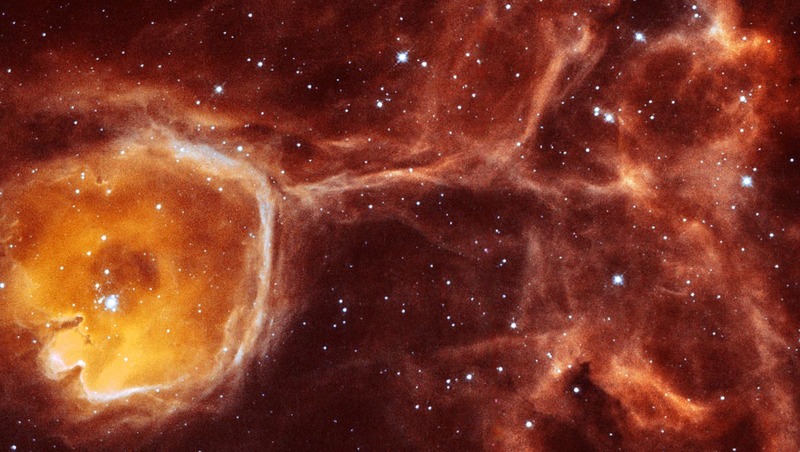 Peering into the bubble's interior, the Hubble image reveals dramatic structures, including pillars of dust, aligned toward N44F's hot central star. Reminiscent of dust pillars in stellar nurseries within our Milky Way galaxy, they likely contain young stars at their tips. 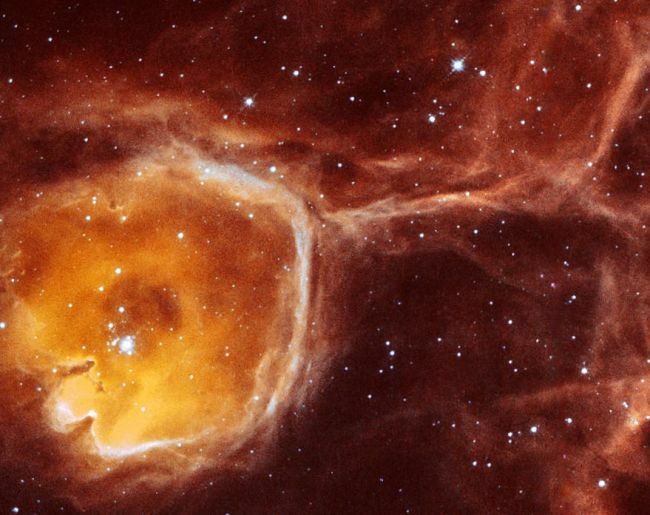 Expanding into the surrounding gas and dust at about 12 kilometers per second, N44F is around 35 light-years across.